Cookie Chanel has a passion for fashion--and a murder mystery to solve! Cookie Chanel has opened her own vintage clothing boutique, It's Vintage, Y'All, in the charming town of Sugar Creek, Georgia. Always on the lookout for stylish second-hand steals, she attends the estate sale of deceased socialite Charlotte Meadows. 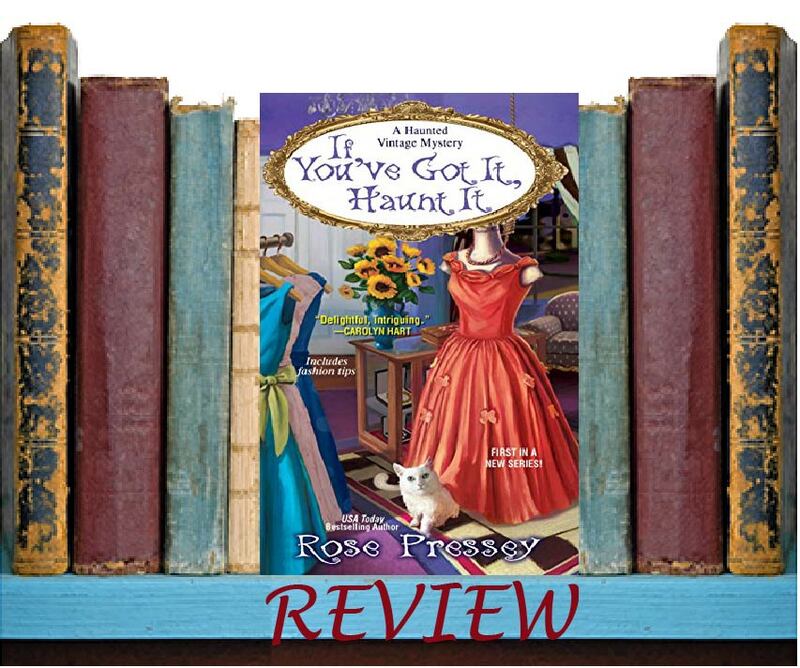 But she gets a lot more than she bargained for when Charlotte's ghost appears before her--offering fashion advice and begging Cookie to find out who murdered her. As the persistent poltergeist tags along and a possibly psychic pussycat moves into the shop, Cookie sorts through racks of suspects to see who may be hiding some skeletons in the closet. Do a clothing store owner and a disembodied socialite have a ghost of a chance of collaring a killer--or will Cookie's life be the next one hanging by a thread? Don't miss Cookie Chanel's Fashion Tips! When vintage clothing store owner Cookie Chanel (I have to admit that name is perfect for her) finds herself haunted by a ghost named Charlotte. She discovers the only way to get rid of the ghost is to solve a murder. This isn't just any ghost. It's a ghost with a keen eye for vintage fashion and a sarcastic side. Charlotte is determined to find out who killed her, and since Cookie is the only person who can see her, then Cookie is the one she'll follow until her murder is solved. I really loved the southern genteel side that so casually mixed with a dash of sarcasm and a little "who is more fashionable" competition. And there are plenty of vintage fashion and shopping tips for anyone who loves the look. The book moved a little slow for me and there were just too many wrong leads. Even though the case was solved in the end, it seemed like I had forgotten how it all started by the time we got there. Now, I was listening to the story in audiobook form, so perhaps the physical copy would have "read" faster. There were some very funny scenes that I really enjoyed, and they made the slow pace a little easier to listen to. This is much more of a sit back and relax kind of read than what I'm used to even from cozy mysteries.